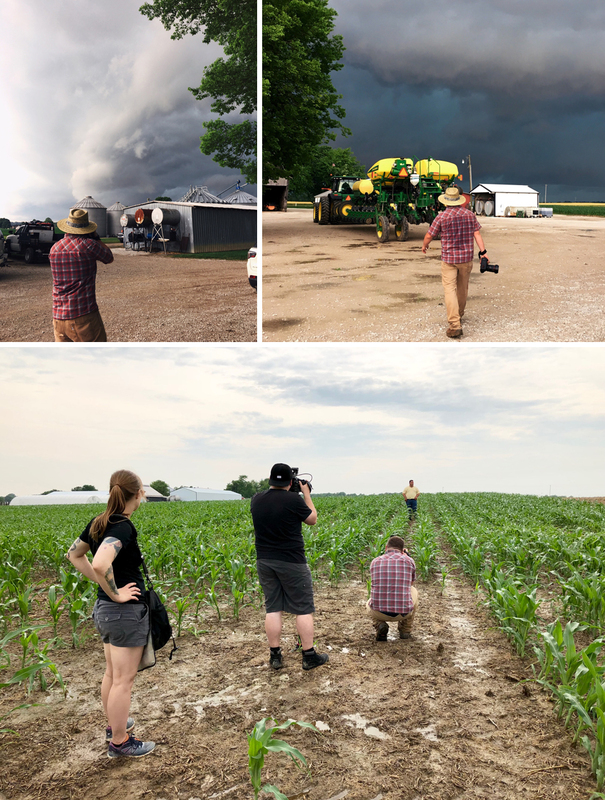 Recently we traveled to the Kuhl family dairy farm in Wisconsin to capture the family working with their cows. We arrived at the farm just as the sun was rising over the cow barn. Shooting quickly, we followed the farmers as their did their normal morning routines. It's fast paced constantly dealing with changing light going from inside the barns to the outdoors. You have to be quick on your toes and your camera settings to hang with these farmers. Their milk is used to make cheese and butter for a local dairy co-op. The highlights of the shoot was when we finished and hung out in the dairy barn and drank fresh milk. The perfect way to cap off a great shoot. Personal projects are the lifeblood of any creative. They allow you total creative freedom, a chance to experiment and learn what works and what doesn't. This particular project took us to a small airfield North of Des Moines. This airfield is home to a small, family owned and operated aerial application business, crop dusting as its known to most. On a hot cloudless day in July we hung out in the hangers shooting with the mechanic/pilot who has been in the business for over 30 years. There is something inspirational about someone who knows every facet of their business and can problem solve on the fly. After spending the morning and early afternoon shooting in the hanger the wind finally dropped below 20 MPH so he was able to head out to spray the fields near by. The skill of the pilot was amazing, dodging trees and flying over the fields with extreme precision. At the end of the day we ended up with a unique visual story and an amazing life experience.